Malaysiakini : It is sad to see some people taking the law into their own hands. 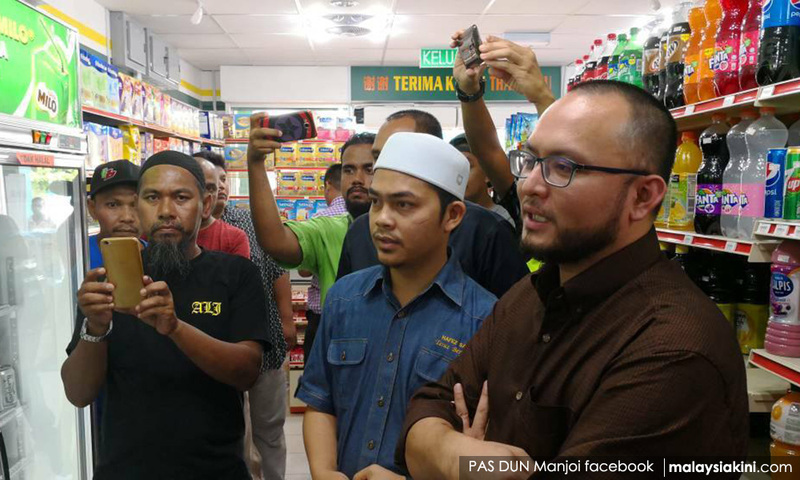 Ketil Sd: If Kampung Manjoi folks in Perak seriously abhor alcohol, they should simply just stop patronising that convenience store. And if the store is losing significant enough business, the owner will by economic sense stop selling alcohol. The fact that the owner sells alcohol implies that there is demand for it. And the fact that the store is still in business despite selling alcohol implies that there is sufficient business to keep it going. To be sensitive does not mean we have to deprive others of their right to consume legitimate products that they enjoy. Must Muslims stop eating beef in order to be sensitive to the Hindus in our midst, or should Chinese stop consuming pork because there are Muslims everywhere? Or must all Muslims stop visiting hotels in Malaysia and around the world because they serve alcohol? Malaysia is not a Muslim theocracy. The government must stop such bullying. In fact, the government must bring those gangsters (disguised as NGO) to justice. They have obviously taken the law into their own hands. There mustn't be religious bigotry in our midst. Malays are a tolerant lot. What gives them a bad name in instances like this is a tiny, extreme group which claims to represent them. This must stop. Anonymous 1802761448130592: It is sad to see some people taking the law into their own hands. The rule of law must prevail and be respected. Imagine what would happen to our beloved country if everyone starts to force their views on others. We have proper channels to resolve matters, and these channels must be exhausted first before anyone decides to take matters into their own hands. Things can always be work out amicably with reasoning and goodwill. Ravinder: A good Muslim who practices his religion will not drink even if he is given free crates of beer or other alcoholic beverages. Cigarettes were declared ‘haram’ many years ago but look at the number of Muslims who continue to smoke. This and other similar-minded NGOs would do better to get Muslims to abide by the fatwa on cigarettes.